Jai Baba Ji Di. Jai Guru Maharaj Ji Di. Jai Mata Ji Di. Many years ago Guru Maharaj Bibi Satya Devi Ji had a dream about building a mandir in Haridwar. 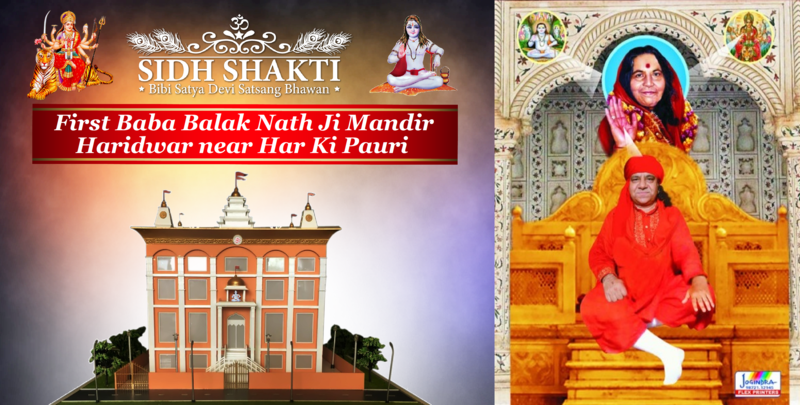 This would be the first Mandir devoted to Baba Balak Nath Ji in Haridwar, India. The mandir in Haridwar is of incredible importance to each person. Haridwar is the resting place for our ashes after we die and with Baba ji’s blessings, each one of us will eventually end up there. That dream from long ago is now a reality. Guru Maharaj Rangar Dev Ji has secured a property in Haridwar near Har Ki Pauri and the mandir is in its planning and construction stages. We are now accepting donations for the construction of the mandir in Haridwar. Receipts will be promptly provided. Wire Transfer: If you prefer to wire transfer your donations, please send the donations through this bank account number. We are now accepting donations for this new mandir. If you would like to kindly donate, please see the options.